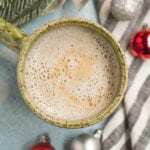 This Healthy Peppermint Mocha is the perfect holiday drink! 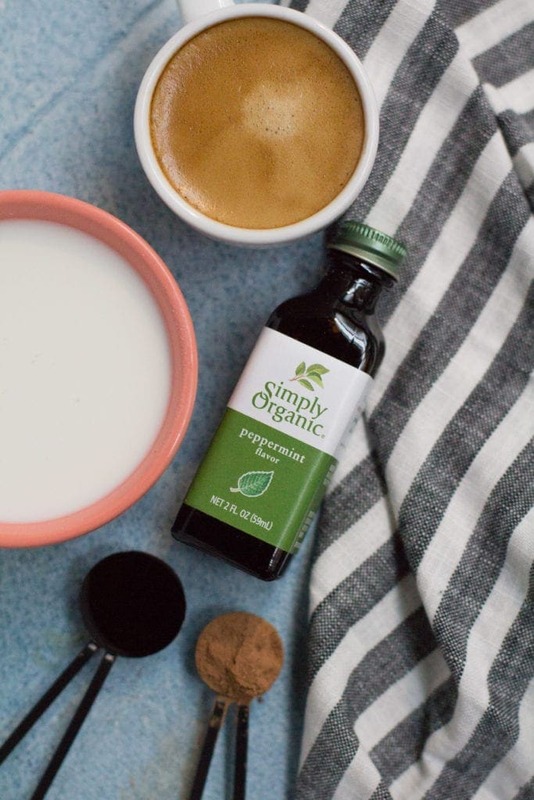 Requiring only 5 ingredients, it’s easy to make, paleo, vegan, and cheaper than Starbucks! 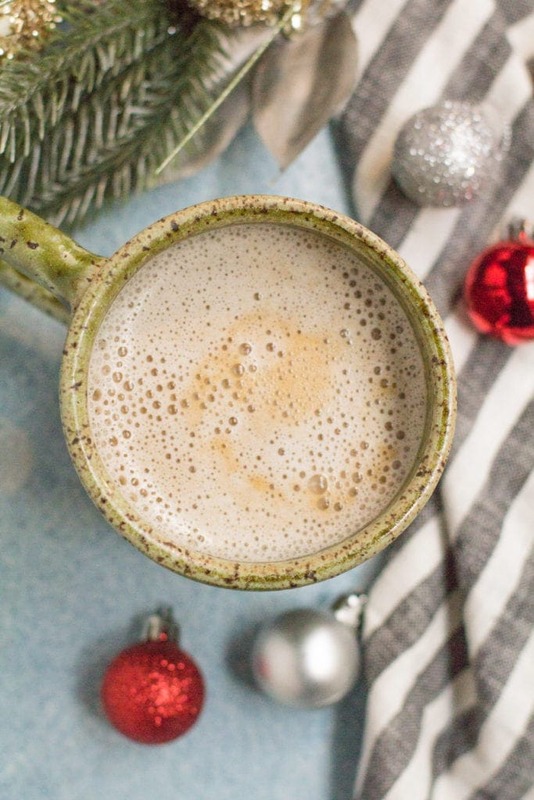 This Healthy Peppermint Mocha might just be my favorite winter drink. It’s super simple to make, requiring only 5 ingredients and a few minutes of time. It tastes 100x better than Starbucks and has 1/4 the amount of sugar when compared to their drinks. Naturally paleo and vegan – it’s a cozy treat anyone will love! 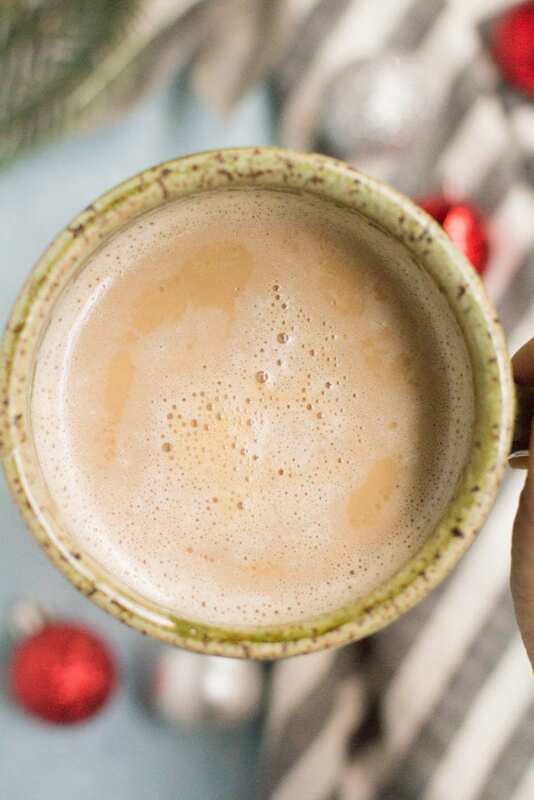 If you love getting a peppermint mocha from Starbucks or your favorite coffee shop, you’ll love making one at home! It’s so much cheaper and better for you! (Plus you only need minimal ingredients! Can I make this without an espresso machine? Then, top with your espresso + enjoy! Fair warning though – you’re going to want to drink classic holiday drink pretty much every morning. I’ve basically replaced my morning coffee with this! (And it’s also SO good with these Healthy Anginetti Cookies!) I hope you love it! Can I make this whole30? Yes, omit the maple syrup. Can I use honey? Yes, it will work fine but it will not be vegan. I like this honey. Can I use different milk? You can use any milk in this recipe and it will work just fine. I prefer non-dairy milk but if you like regular milk and don’t follow any specific diet feel free to use that! Looking for other healthy holiday recipes? Check these out! 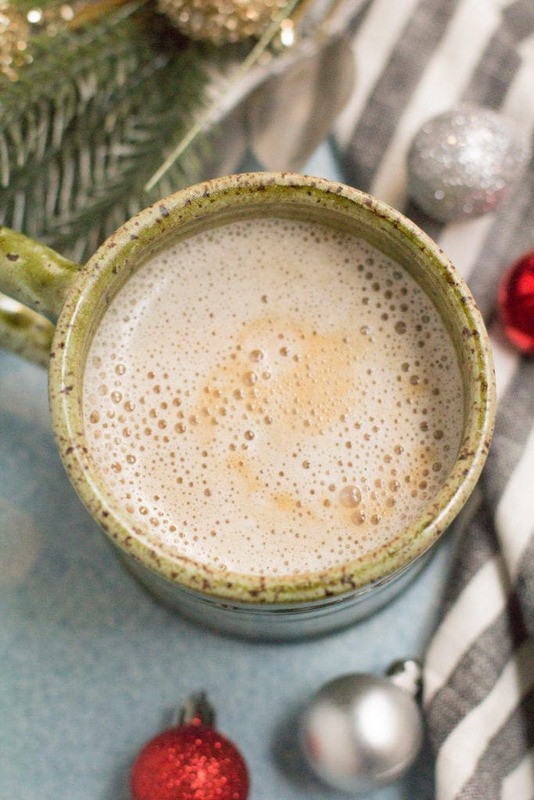 This Healthy Peppermint Mocha is the perfect holiday drink! 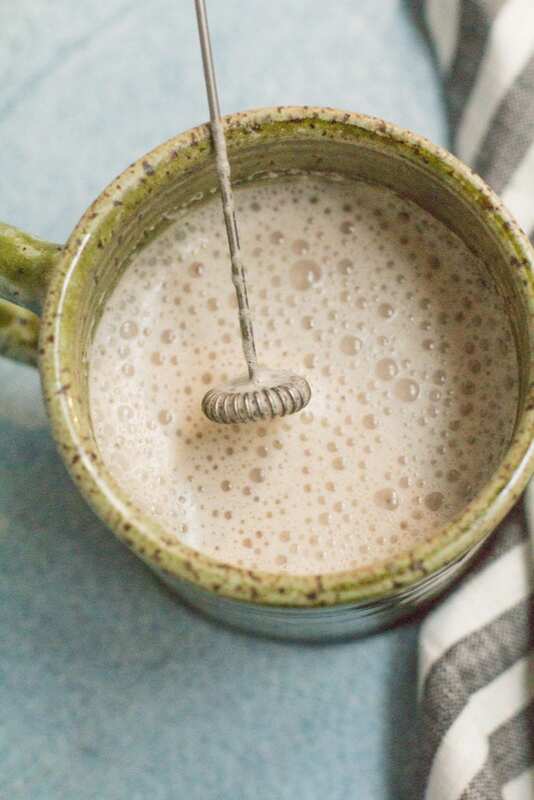 Requiring only 5 ingredients, it's easy to make, paleo, vegan, and cheaper than Starbucks! In a pan or microwave, heat almond milk until warm. Whisk in peppermint extract, cocoa powder + maple syrup. Pour milk into a mug, and top with espresso. To make Whole30: Omit the maple syrup. You can substitute honey for maple syrup. You can use any milk in this recipe and it will work just fine. I prefer non-dairy milk but if you like regular milk and don't follow any specific diet feel free to use that! Made this this morning and it was SO good and easy!! Can’t wait to have it again!